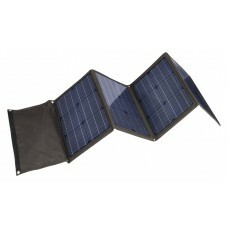 Portable 12V solar panels are an efficient and environmentally-friendly way to harvest energy, and in recent years, advances in portable solar technology have also made them cost-effective and easy to use. They are an ideal way for campers, and caravan and 4WD travellers to power electronic equipment including laptops, mobiles, speakers, lights, and cooking appliances. Portable solar is also silent, meaning you can add some comfort to your outdoor experience without shattering the peace and quiet with a noisy and unclean generator! This entry was posted in Solar on January 7, 2015 by Alan Richards.